Flip Pallot, the legendary fly-fisherman and TV personality, considered calling off the trip and turning his 18-foot skiff back to the dock. It was just shy of 2 a.m. last July, and a heavy tide poured through the St. Lucie Inlet, north of West Palm Beach, Florida. Four-foot waves broke all around, and in the distance, lightning danced over the Florida Straits—exactly where Pallot, his longtime friend John Donnell, and I were headed. But Pallot motored on anyway. The goal: reach Walker’s Cay, a 58-acre deserted island 100 miles off the coast, at the northern tip of the Bahamas. Pallot, soft-spoken and sagelike at 76, used to visit and fish the island often but hadn’t returned in nearly 15 years. Once we cleared the inlet, the sea smoothed, and our six-hour crossing began in earnest. This trip was a long time coming. From 1992 to 2006, Pallot hosted ESPN’s The Walker’s Cay Chronicles, the first major TV show devoted to saltwater light-tackle fishing, much of which was filmed at its namesake island. Pallot, unlike most outdoor-TV hosts, didn’t hawk tackle, plug a dozen sponsors, or obsess over trophy catches. Instead, he created a show with nuance, intelligence, and surprise, much like Anthony Bourdain later did for food programming. A typical episode might find Pallot polling through the Everglades as he explained the area’s history, pointed out alligators and egrets, and recounted how he’d explored this very spot when he was a boy. Then he’d hook a hefty harpoon or snook. The show made Pallot—who’s also renowned as a flats-skiff designer—one of the biggest names in fly-fishing, and it influenced a new generation of anglers to pursue the lifestyle he captured with the series. In 2004, everything changed for Pallot when two hurricanes slammed Walker’s Cay—which, in its heyday, had hosted President Richard Nixon, Jane Fonda, and Roger Daltrey. The storms destroyed nearly everything, including the 71-room hotel. Complicating matters further, the island’s owner, who had helped finance Pallot’s show, died a year before. “The storm washed the island away and the show,” Pallot recalled. This trip marked the first time he’d returned since. By 5:30 that morning, we made it to the Bahama Bank, then hooked north. Within a couple of hours, the first piece of land came into view: Walker’s Cay—a sliver of green wrapped by sandy beaches and limestone. The next morning, Pallot, Donnell, and I tore off from a 164-foot yacht—our home for the week—belonging to the island’s new owner, Carl Allen, and manned by a small crew. Earlier this year, Allen, a Texas businessman turned treasure hunter, bought the uninhabited island (listed for $18 million with plans to revive it as a fishing destination. This paved the way for Pallot’s return: Now that he was here, he intended to fish the spots he had decades ago. Before Pallot ever came to Walker’s Cay, he got his start fishing near his boyhood home, outside Miami, on the edge of the Everglades. In 1980, he quit his job as a loan officer to guide hunters and anglers from Florida to Montana (which he still does), building a reputation that led to The Walker’s Cay Chronicles. In the dozen years since the series ended, Pallot, who now lives in Mims, Florida, with his wife Diane, has shifted his focus from TV to reserving fisheries his show helped popularize. Now, as a speaker and teacher, he partners with groups including the Bonefish & Tarpon Trust and Captains for Clean Water to help protect fisheries in the Everglades, the Bahamas, and beyond from habitat destruction, invasive species, and pollution. The situation has become increasingly urgent in Florida, owing to agricultural runoff, development, and precarious water-management policies. Pallot faults ineffective politicians and an unconcerned citizenry. “Under the radar, things deteriorated, particularly the water quality,” he said. In response, he helped lead a petition to restore the flow of fresh water south from the damned Lake Okeechobee through the Everglades; this would help curb the toxic algae blooms that now plague Florida’s lakes, rivers, and coasts each summer, to the detriment of fish, public health, and local economies. Pallot admits that he and other anglers didn’t call enough attention to environmental issues back in the 1970s, an era when he, Jim Harrison, Thomas McGuane, and Guy de la Valdene—all friends—were chasing fish around Florida. He also convenes that his show, and the interest it inspired, put pressure on the resource. But you have to love something before you feel compelled to protect it, Pallot believes. The first day on Walker’s, Pallot and Donnell cast for horse-eye jack and by nightfall had landed three nice ones. To be sure, Pallot had had better days on the island. Still, “it was merely spectacular,” he said. The week passed in a brutal blur. 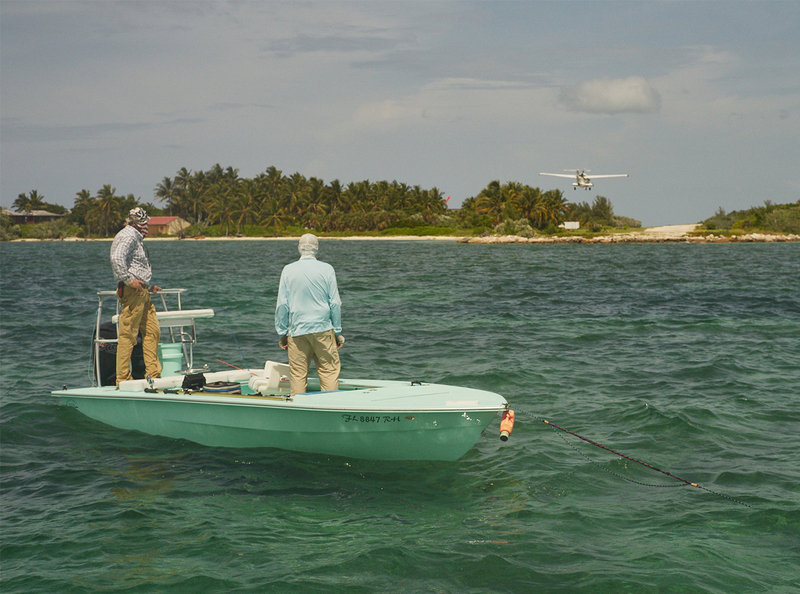 We tried for bonefish, narrowly avoided a thunderstorm, got pulled around by a tiger shark after Pallot fed it a fly. 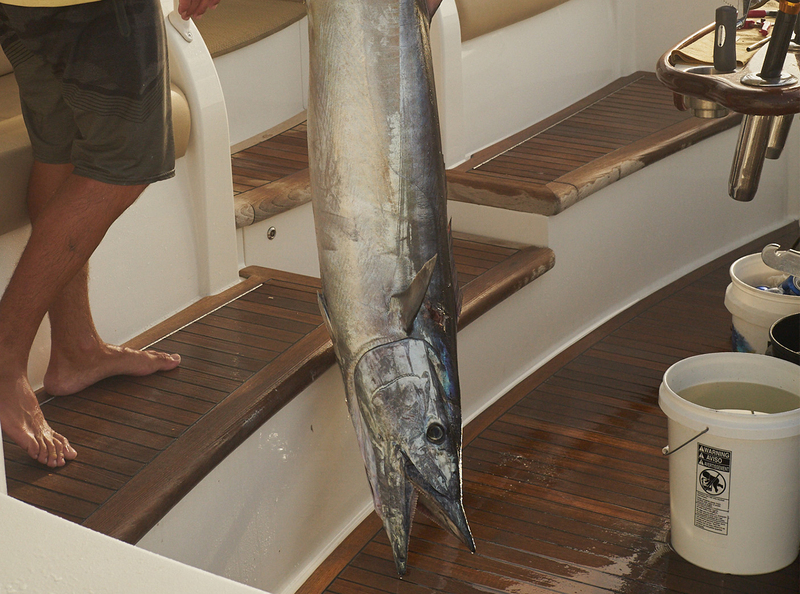 We ventured to Grand Cay, the nearest neighboring island, and had a white marlin lunge for, but miss, a fly. Friends were made, stories told, meals shared. But the trip, for all its fun, also stirred tough memories for Pallot. In March, Lefty Kreh, his longtime mentor, who’d appeared on The Walker’s Cay Chronicles regularly, died of congestive heart failure, at age 93. Pallot took the news hard. He plans to spend the remainder of his days motivating people to care about places like Walker’s. (Pallot is thankful that its new owner intends to open it for public sport fishing.) But he also wants people to value waters close to home—to experience wild places so that they can transform their worldview, as they have his. Maybe that was his goal all along. On our last day, Pallot and Donnell hiked up a hill overlooking Walker’s Cay. For many anglers, this place was a catalyst for discovery, exposing them to a new world, even if experienced through a TV screen. But the island was also a catalyst for the second act of Pallot’s life. And now he took comfort in knowing that it would again lead people out to sea, as it had long done for him.